I know this isn’t a post you want to see here right now. Nothing less than Dear High Mistress will make you guys happy. Unfortunately, we’re not having an episode of that today. I want to make some announcements. >The first is about Love, Your Enemy. I will be postponing the release of the book till September. I have encountered some technical difficulties finishing it. First, I recently concluded the first part of Stranger In Lagos, which took me quite some time to finish. It left me rather drained. Secondly, I got into a ‘no write’ period. I wasn’t able to put down anything. It was not that I was suffering from writer’s block. No, I don’t suffer from that. Rather, it had to do with the desire to write. My writing process involves the inspirational and the technical. Inspiration can keep me writing a seven-thousand word episode in a few hours. Technical is what helps me clean the post up to make it better. Normally, before I do both, I’d jot down each scene and plot the story well, listing out details and even dialogues sometimes that won’t leave my head. So, recently, all I had working for me was the plotted and the technical part. Inspiration was gone. I just couldn’t flow without the story coming off as mechanical and stiff. And having to write that with Dear High Mistress was difficult, so I dropped #LYE and concentrated on Dear High Mistress until I ran out of steam. It’s believed by some that Sally can go on and on without running out of inspiration. Well, this is a day that such assumption is proven wrong. Personal problems are to blame for my lack of desire. I have been struggling with something in my life lately and this has affected my pen. I do feel myself returning and I hope to resume today to continue with the story. Please, pray for me to get back that juice. 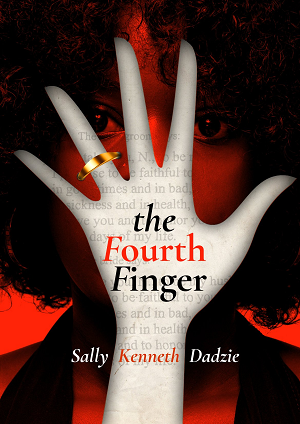 The concluding chapters of The Fourth Finger were torn down and restarted just five days before the deadline I gave. There’s nothing I can’t accomplish when my fingers are on fire. I just need to get back in that place. >Love, Your Enemy will be undergoing a title change. Based on advice which I initially rejected, I am now changing the title to something else. I will reveal that when the book cover drops. The reason for this is that the name is easily confused with ‘love your enemy’, which is a common quote in Christianity. This could affect book sales by selecting a Christian audience and driving away the non-Christians. 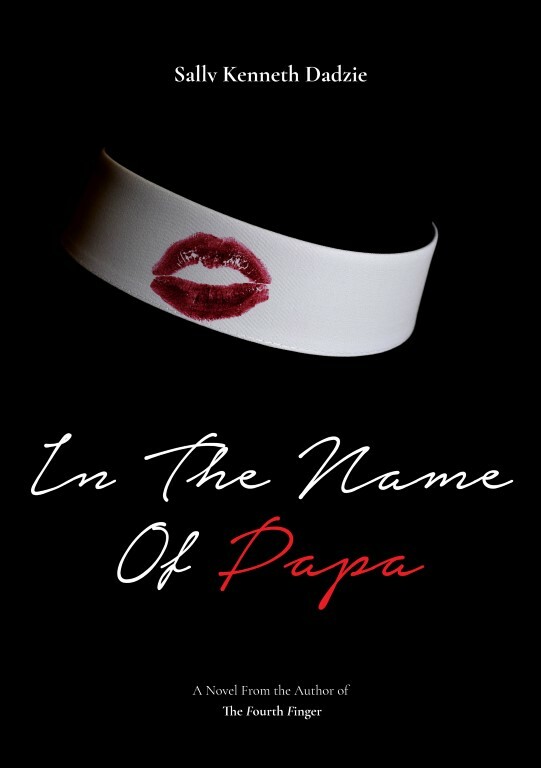 Not everyone who sees the book online reads this blog to know that the story is about Pastor Love. They may assume that it’s a non-fictional Christian book teaching about loving one’s enemies. It was difficult to accept this change since the title means much to me. But i think it’s for the best. >This blog may have to move to Facebook in the near future. This would be for those who have been asking to subscribe to read. I will add members to a secret Facebook group where they can get access to ongoing series. As one of the few online writers left standing who started almost six years ago, I think I have tried with freebies. It’s sad that people still send me emails to ask me why some posts are not for free. I once said I will get tired of talking. This is the time. I am tired. My hosting package for this blog costs some good money. Towards the end of each month, I am told that my bandwidth is almost running out because of heavy traffic. Yet on a post of 2,000 views, I get only 20, 30 comments. I don tire. I want to drop my hosting package to a cheaper one, reduce traffic here since the blog doesn’t generate much ads and get value for the hard work I do from paid subscriptions. Nobody who wants to make it in life does freebies. Because of my kindness, I have gotten insults. Yet the same people will pay thousands to buy other authors’ works and still kiss their asses. So, come September or October, this blog will move to the new hub for online content which is now social media. That’s where everything is happening. I will restructure this and make it a place for posting excerpts, other writers’ works and for book sales, so that those who don’t get to read the subscribed stuff can still buy my books directly from me. >Olajumoke Omisore, the writer of Girls, apologizes for being unable to continue her series. She is busy with her job and can’t continue. 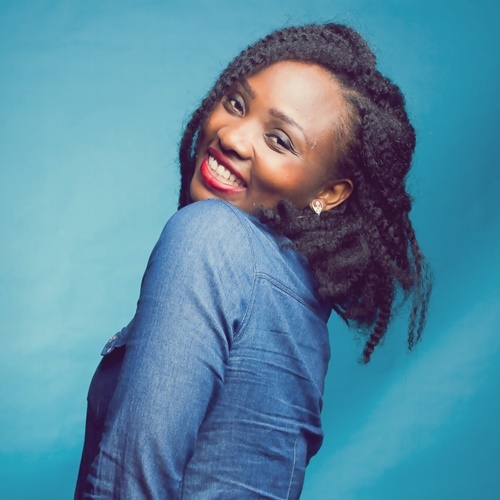 Fatimah who shares Omoge Campus with us faced some issues as well. Same with Ibukunwrites. With Ibukun, I had to personally discontinue the series because I didn’t want a situation where y’all be kept waiting another long time for more episodes. I apologize on all their behalf. Guys, things are no doubt changing around here. Life has become more complicated and difficult, especially if you live in Nigeria. I miss the days when I didn’t have to sweat too much to earn a good pay. Writing was bliss then. This blog was awesome. Readers were as generous with comments as I was with giving series freely. But things have changed on both sides. It would have been fun to continue with the way things were but it’d be unfair to me and to those who diligently stop by to encourage me. Difficult decision to make, but it has to be done. Dear High Mistress continues next Saturday. The Marriage Ultimatum as well. I can’t give details about Stranger In Lagos yet but it’s ready. When it launches, you’ll be the first to know. I can never get tired of thanking everyone who comes here to comment, share, buy my books, and drop encouraging comments on social media and via email. God bless you. And for those of you who only make up the numbers and still ask for freebies, I am not understanding you o. Ghost mood would soon be deactivated. Anyways, I love you all like that. Awww Sally. I appreciate you. Thanks for being so generous. Wherever you are moving to, I’ll be there with you. May the Lord continue to bless and prosper the works of your hands. I eagerly await all the juicy stories. Have a blessed week. I’m so sorry for all that you’re going through. I’m very confident everything will be just fine. Weldone with stranger in lagos. We patiently await the next episode of DHM and the launching of SIL,L’YE and IANS ?? May God strengthen you Sally, He ll also fight and win all ur battles. Ur books has always bin my soul lifter, ur pen ll never run dry. Forgive we ghost readers. Im one of the ghost readers but i always buy your books. So i will be subscribing to your new channel. God bless the work of your hand and your pen. Sally, ,this ur post is both good night bad news.. Anyways, all the same u r great ma’am. Me I sha want to being that facebook group o or I’ll start crying from now on. .. I pray you get your flow back soonest. With you all the way, whatever works best for you. I hardly go on facebook. But anything for you Sally. I’m sure you will be fine. God’s got you and you are blessed. Felt it that you’re going through stuff. Just that my busy self couldn’t make out time to check on you. I trust you to come back better soon. Thank you Sally. You kukuma know I can relate very well. There’s a lot to write in my head but many issues keep cropping up. Defied my rule to not write on my phone and I started but life is jut cheating me, leaving me with too much to struggle with that I can’t even sit and write. Many of us are going through stuff and we believe The Almighty to help us out. That said, I will be here as you release ’em books, and i’ll buy and read. Wifey jut got Moskeda inducted and she waxes lyrical about your stories. As for the juice, it’ll flow well with enough sauce added too. Remember Naomi and Ruth? Anywhere you go, I’m gon’ go with you. Awww, thank you plenty, Seye. I love the way you take your time to explain things to us. It shows u really see and value us alongside work.Everything will be fine Sally. You have been a generous writer all this while so I understand where you are coming from. I hope and pray you get that juice back soon. Stay strong and God bless you. You are very very generous Sally. As much as I enjoy reading free stories I feel a little guilty doing so because they are too good to be for free. That’s why I try to buy all your books. I am sure we will get the details when the time comes on how to join the new group. I have a request, Can you please extend your ebooks to amazon? More ink and inspiration to your pen. Love u Sally!!!! You still my number one! My amazing Sally… this post makes me feel some kind of way o, I can literally feel how difficult it is for you to do this but you are absolutely right. Freebies won’t pay the bills. I will continue to support you, whatever model you choose but ultimately, I pray God blesses you and your family. May this gift he has abundantly blessed you with open unexpected doors for you from every corner of the earth. You are loved. Sally for President! Too much juice too much sauce and too much inspiration will fall on you bcuz where ever you go I will go with you. God will always be with you and your family. And the grace of God will uphold the work of your hands. Amen. Do have a wonderful week. The Lord is your strength. He is got ur back n He will never forsake u.
Madam Sally.. i was about suing you sef because i’ve missed DHM so much.. But I understand how hard it is for a writer to focus and write good stories like yours..
As for inspiration,God will do a good work of filling you to the brim with that and many more.. Thanks for the explanation too..
Whatever decision you take, I am all behind you.. Will be awaiting your comeback because i know it will be Epic.. Have a blessed week ahead maami..?? I am worried. I don’t know why but I am. I hope you find your way to that desire that makes you write. All personal problems sorted out and all. LL be praying for you. Uhmmm, well, I’m in support of whatever you do because it’s not easy to continue to do what is neither paying off nor been appreciated. I just hope that the terms and conditions will favor me *wink*. I don’t mind parting with my money for your work. I pray that God will continue to strengthen you and always make all resources available to you. The arrangement will work well, I promise. Thank you Sally for always sharing with us. ?????????????????????????????????????????????? Sally wherever u go i shall follow, i am one of those one day on and one day off commenter but it is mostly because of the network. sometimes the thing keeps acting strange. I pray that the Lord help you in every area of your life and may the juice come back as soon as possible with plenty sauce sef. whatever you choose to do, me am solidly behind you. Cheers!!! Do what you must dear Sally, we are with you all the way. Right behind you Sally. I hope the zeal / inspiration to write returns soon. Well done!!! I am so bummed out!! Love, Your Enemy was going to be one of my birthday gifts to myself, I had been salivating on how I would read it, I even reactivated my okada book account in expectation and the title is getting changed. I do understand the mix up with the title, but I loved the title. On every other thing, which am not fully understanding, as long as you are not quitting writing and your work would still be available, no wahala. Nigeria is really tough at the moment, but like I always pray for myself and peeps, may we not all be washed away by the biting times, but come out as conquerors, by the unending grace of God. First, I’d loveeeee to say a big thank you for the beautiful things you write and give to us for free. ?. I also want to apologise for being a ghost reader for 4years now. I am totally sorry. I’m subscribed to u, sometimes share ur work and have told a great deal of people about u. Someone once asked if i know u personally while talking abt you. I am a very shy somebody … reason why i find it hard to comment . Henecforth, i promise to drop a word. At least a thank you. I pray the good Lord continues to strength you, inspire you, give u a head way in whatever u do and bless your Family immensely. Thank you for popping in and dropping this. P:S- Sometimes i really cannt post comments on here…did you get my last dm on twitter? i always reach out there even when i cannot post here cos i appreciate all you do. I will check the DM on Twitter. I always respond to DMs, though. God bless you and all your handwork Sal. I hope you know you have my best regards always. I’m actually just reading this….wow! I feel bummed. I know I’m one of the newbies on here but I appreciate you and your whole work a lot. Got to know you through Elsiesy’s blog and I got hooked. I know, I know, I really should buy your books.. I really do but don’t mind me…God go provide. As for inspiration, I can relate on all fours. Totally abandoned a book I started since last year just cos I didn’t have it inside of me to push. But you are gifted and I trust God to renew your strength, refresh your mind and reignite your fire. Pele dear.**hugs. And I would do better….I would comment more ?? It’s really difficult, dear. I totally understand why they stopped. For many, the feedback kept them going as well. I pray everyone finds the strength to keep doing they love doing. I will be more than willing to pay for any book you write, now and forever. keep up the good work. You are a great inspiration to many writers out there. Hi Sally, I hope you get your juice back…and about the comments, e jor e ma binu? I don’t really know how to buy books online…maybe you could add a few guidelines to some of your posts to help those of us who have this challenge. Hi Reni. There’s always an option to pay directly to my account. A lot of people buy my books that way. I am rooting for you baby girl. Whatever it takes, i’ll be here for you. I apologize for my ghost activities on this site and I pray that the tide will turn in your favor very soon. Be rest assured that the world will one day celebrate your ingenuity and literary prowess. God bless you and your family. I don’t need to say much, mama you know now.carry go any platform and I’ll be there. God bless you plenty. I must confess I don’t comment but Ispread the word …. Don’t worry,we are ffg you ,free or not free. You’re always an inspiration to upcoming writers like me. I can totally relate with the issue of no inspiration to write. Just take time to rest and sort all that needs to be sorted. You’ll be fine mentor. Keep it up dear! Some of us are your die hard fans and we’ll follow you all around the world if that’s what it takes to keep reading your stories. I’ve been a bit miserly with comments as well but e be as e get! Anyways God dey, however it turns out, it will only be for your good. Keep the faith dear. So appreciative of your work. Sorry for letting you down by not commenting. Anywhere you decide to move you have a dedicated follower in me. I’ve bought every book that I know that you have written. Do keep up the good work and don’t be weary because in due time, everything will surely come together. PS: so it’s really till September, she I’ve got to learn patience. I am a ghost reader and I hardly comment on here because I am lazy. Too lazy to appreciate good work and I apologize for that. But what I won’t apologize for is loving your work and blog. I think I follow you everywhere like a creep. There’s no book you’ve put of for sale that I haven’t bought because I believe it’s money well spent. You are an amazing person inside and out. Your writing is beautiful. So if you like go to the moon. I’m following you??. If you like make us pay for the new change. I will pay. At least I know that this is the only blog that I will die on. God bless you Sally. You’re the best ? I promise to always comment now, I fell deeply into your blog and now it’s always refreshing. I’ve read all your books, published. Even wishing for hard copies. Dear Sally, My Sally, Our Sally. I really don’t comment when I read your books, am guilty, am so sorry about that. About your personal challenges. I pray God meets you at every point you call on Him. And that muse to write, will come back very soon. And for the record, everywhere you, I will follow just lemme know on time so I can start packing as well. Oh my! Love your enemy is a book I can spend my last dime o. Still waiting for it. Everyone in my house reads you book, we even do all night sometimes. Sleep won’t just come until one finish those stories. Have been spreading the news of your books to families and friends. Keep doing what you are doing Sally. We are proud you. Much Love!